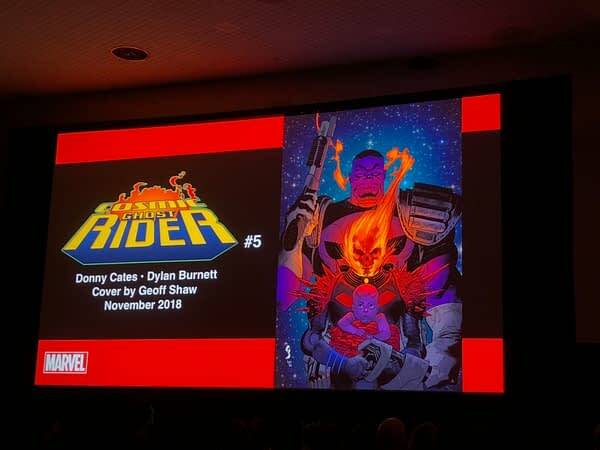 Marvel Golden Boy Donny Cates took the stage at the publisher’s Next Big Thing panel at New York Comic to treat fans to an early look inside Cosmic Ghost Rider #5, the final issue in the mini-series, in which Frank Castle decides to raise baby Thanos when he finds him on Titan. Awww! 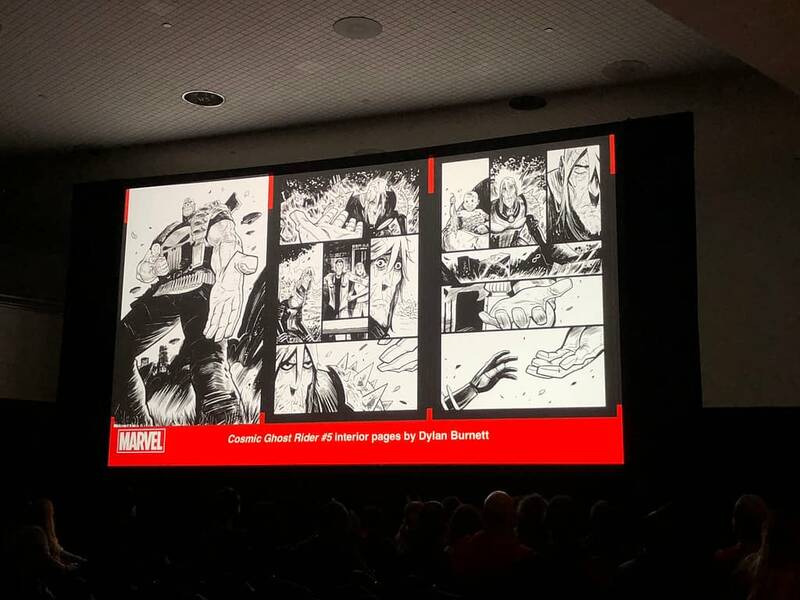 Stay tuned for more breaking news from the panel and a full report later.